Smartphone owners prefer to use retail Web sites, rather than retail apps, when researching products on the fly, comparing prices, finding retail locations, and redeeming coupons, according to a survey released today by Nielsen. While mobile phone shoppers prefer Web sites over shopping apps designedby retailers, combining the two creates a powerful way to garner theeyeballs of mobile consumers, Nielsen’s studyshows. For instance, it revealed that, during the holiday season, thetop five retailers –Amazon, Best Buy, eBay, Target and Walmart –through a combination of mobile Web sites and apps reached nearly 60percent of smartphone owners. 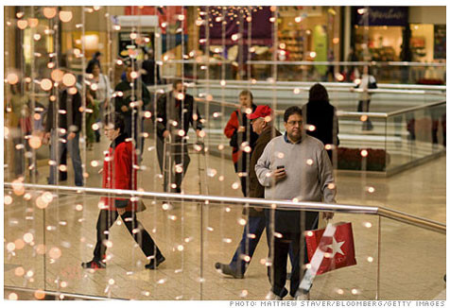 Shoppers still prefer retailers’Web sites to mobile retail apps, a Nielsen report shows. Surveyors also found gender discrepancies among the top Web sites. Forexample, Target is more of a magnet for women (65 percent) than men (35percent), while Best Buy is more of a man cave,with guys outnumberingwomen 61 percent to 39 percent. Walmart, too, skewed female (58 percent to 42 percent), whileonline-only outlets Amazon (52 percent female to 48percent male) andeBay (49 percent female to 51 percent male) were more evenly dividedamong the sexes. As might be expected, the mobile Web sites of all the top retailersreceived a “Black Friday” bump in visits,although at eBay, it wasbarely noticeable. The study, which tracked 5000 smartphone consumer volunteers during theholiday period, noted that Amazon’s Web site had the highestactive reach of the top five retailers, consistently over 15 percent.The operations of the online-only retailer was followed by eBay,Walmart, Target, and Best Buy. Follow freelancetechnology writer John P. Mello Jr. and Today@PCWorld on Twitter.